THE Australian Trucking Association and our member associations are standing up for truck drivers and we are calling for more attention to be paid to truck rest areas. The 2018 Budget has revealed the Australian Government will only be able to spend $46.4 million of its $60 million budget for truck rest areas and other productivity projects in the year from July 1, 2017, to June 30, 2018. The fatigue laws require truckies to take regular breaks but there aren't enough truck rest areas. Where they are available, too often they are filled with caravans or are in an appalling condition. Our hard-working truck drivers deserve better. I recently travelled from Dubbo to Melbourne with well-known drivers' advocate Rod Hannifey. Rod pointed out the many places where rest areas could have been built at low cost in conjunction with road upgrades, however these opportunities were not taken. Rod also pointed out that too many rest areas did not include basic amenities such as toilets, lighting, water and shade. Access to these facilities are basic human rights and should never be compromised. 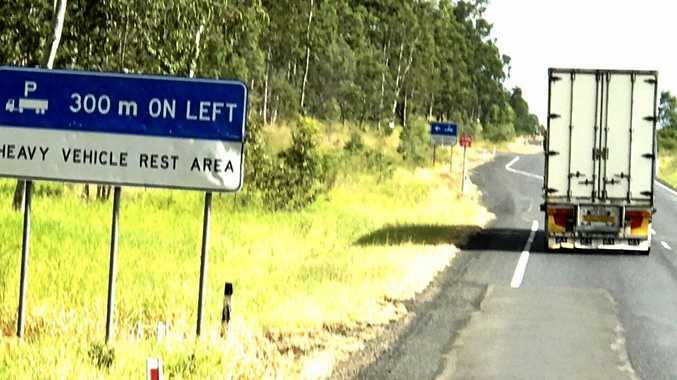 Roads and rest areas are a driver's workplace and in no other office, including the Australian Trucking Association and government agencies, is the provision of these basic rights compromised. Truck drivers are responsible for moving freight to homes and businesses every single day. There is little chance of ensuring our drivers are well rested and fit to do their job if they do not have access to the fundamental facilities some of us may take for granted. This is an issue the ATA and our member associations will continue to raise, as these amenities have a significant impact on the safety and general well-being of drivers. I encourage all truck drivers to join the campaign and make their voice heard. The easiest way to do this is to join one of our member associations.